Melissa is a licensed independent social worker and licensed independent chemical dependency counselor, trained to treat a wide range of mental health and substance use disorders. Melissa earned her master's degree in social work from The Ohio State University. Before joining Providers for Healthy Living, Melissa worked at the Buckeye Ranch, where she provided individual, group and family therapy. 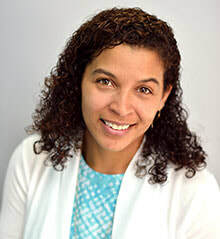 ​Melissa's clinical strengths include providing Cognitive Behavioral Therapy to address Oppositional Defiant Disorder, Conduct Disorder, ADHD, PTSD, anxiety, substance use, and family dysfunction. Melissa has completed Level 1 Training in Gottman Method Couples Therapy and uses Gottman Method Couples Therapy in her work.